What Are Better Breath Nasal Strips? Snoring is one of those problems that many people take lightly because it does not exactly seem dangerous. While it’s sometimes more annoying and embarrassing than anything else, those who snore know too well that snoring can be a major issue that can negatively affect not just your mood and energy levels throughout the day but also your social and love life. Read our Better Breath Nasal Strips review in order to learn how to finally tackle this issue. 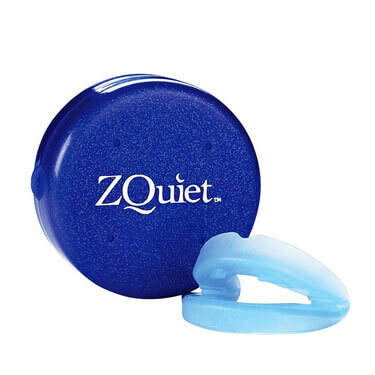 This product is ranked #3 on our Best Anti-Snoring Nasal Strips list. Not being able to breathe properly while sleeping can be very frustrating and tiring. Better Breath Nasal Strips address this issues and they can make your life easier. 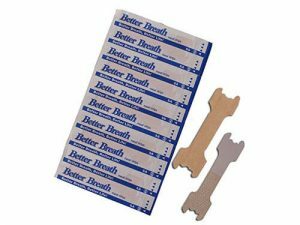 Better Breath Nasal Strips are, as the name suggests, little strips you apply to your nose to breathe better. They are highly effective not only against snoring but also against other problems related to breathing, such as nasal congestion caused by allergies, a cold, the flu, and so on. These strips come in individually sealed packets for maximum hygiene and safety. You are supposed to take a strip out each night before bedtime, remove the backing, and place the strip on your nose, just above your nostrils. 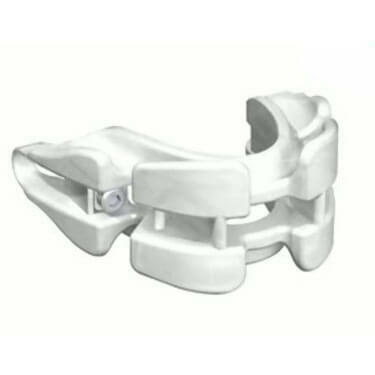 The strip gently pulls your nostrils open and thus allows for better, unobstructed airflow, which means a significant reduction in snoring. The manufacturers of these nasal strips claim they can open up your airway by 31%. Better Breath Nasal Strips are really not that much different from some other nasal strips featured on our list of the best snoring aids but they are definitely different from other kinds of snoring aids, especially MADs and TRDs. Those devices are known to treat snoring quite efficiently but they can also cause quite a few issues and side effects. You don’t get that with Better Breath Nasal Strips, which are virtually free of any side effects. They are soft and comfortable and they work very well. 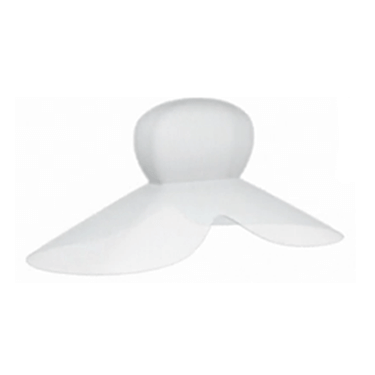 In addition, they can help with issues regarding nasal congestion, which is not something other snoring aids can do. As we already said earlier in our Better Breath Nasal Strips review, they are very easy to use. However, there are a few things to keep in mind when applying them. First, they need to be applied to clean, dry skin. It is recommended to clean your skin with mild soap and warm water before applying them (do not use lotions or oily products) and to tap dry the skin thoroughly or the strips won’t stick and they might fall off during sleep. To take the strip off in the morning, simply take one end between your fingers and pull gently from one side to another, like you would do with a Band-Aid. It’s also worth noting that, the strips might fall from their place due to sweating. To avoid this, try pressing the strip against your skin as hard as you can and double-check to see if there are any dirt and grease residues. The strips are supposed to be placed across the bridge of the nose, just above your nostrils. Better Breath Nasal Strips come in different sizes. The box of 120 small strips costs $15.89, 120 large strips cost $16.45, and 315 large tan strips cost $36.45. As you can see, the bigger the package, the more convenient the price. Plus, you will probably want to stock up on them, as they are disposable and you will need a new strip each night. If you are still unsure if Better Breath Nasal Strips is right for you, check out the key advantages and flaws of this snoring aid. Our Better Breath Nasal Strips review showed that these strips are a fine choice for solving mild to moderate snoring problems. They are very easy to use and come in convenient large packages, as well as in two sizes that fit most noses. If you need something affordable and comfortable to treat your snoring problem and especially if you want to avoid mouthpieces, then you may want to give Better Breath Nasal Strips a shot. Our ratings are the result of an objective and independent evaluation of Better Breath Nasal Strips, generating the final rating that reflects the overall quality of the company. Ratings may change as the product introduces changes. Better Breath Nasal Strips user rating based on 7 user reviews. As far as sleeping and breathing through my nose is concerned, these strips are fantastic! However, the adhesive seems to be uneven, so one side just won't stay on my nose and the other I can't get off in the morning. These are some pretty affordable nasal strips, that’s the main reason I stick with them. They do work, and they don’t fall off as much. Better Breathe are somewhat larger than most other nasal strips. For me, it’s a good thing, because I have quite a nose, ha ha. Quality nasal strips, not too expensive, hubby and I use them all the time. I feel like the manufacturer should really step up the game here. I have been using Better Breathe for years I think, and recently their adhesive feels a bit cheap. The strips have a hard time staying on. Other than that, they really do help. These nasal strips are ideal for me. I travel a lot and I don’t want to bother everyone around me with my snoring, plus they are so convenient because they don’t take up any space at all. We found 0 verified Better Breath Nasal Strips discounts for April, 2019. There are no Better Breath Nasal Strips coupons or discounts right now. In order to be sure that Better Breath Nasal Strips truly is the best solution for your snoring troubles, you need to know what makes it superior or inferior to its alternatives. Discover how Better Breath Nasal Strips compares to other popular snoring aids of its kind with our detailed feature and price comparisons and easily determine whether you are making the right choice.